Philippines VS South Korea (Basketball) – South Korea takes a 9 point lead win against Philippines in 2018 Asian Games held in Jakarta, Indonesia. Many expectations were unmet from Gilas Pilipinas team as the South Koreans gave a tough stance on their game play especially on defense. The Koreans were first to draw blood with a 3 point lead before the Filipinos made their first 2 points by Almazan. Clarkson missed a few shots and incurred a foul but managed to make improvements around the last three minutes of the quarter. Ricardo Ratliffe, who also used to play for PBA, is now naturalized for the South Korean national team and puts out a remarkable power-play performance. The South Korean national team showed an impeccable ball handling and movement ending the quarter with 22-18 in favor of them. Dalistan (Paul Lee) made the first clean shot for 3 points advancing Gilas in the game. Standhardinger also gives out a powerful drive in some of his scores rendering the Korean defense breachable. Several 3 point shots paved the way for Gilas to take the new lead with 42-44 on the scoreboard, ending the quarter with more excitement and louder cheers from the crowd. 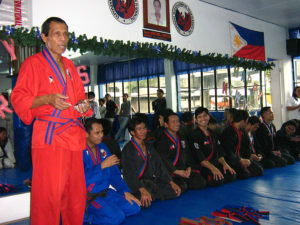 Several easy shots were made by the Filipinos as the Koreans left their guard down on their defense at the beginning. Jordan Clarkson shined brightly as most scores for Gilas was from him. The Koreans managed to make a 2 point lead with 64-62 but was short lived with Clarkson’s 3 point shot ending the quarter with 64-65 tensing up the rivalry between the two national teams as the final quarter approaches. Jeon manages to make the first 3 point shot advancing the Korean team once more. Almazan’s score gives the Filipinos another 1 point lead bringing the game to 67-68 but it would be the last lead the Filipinos would have over the Koreans. 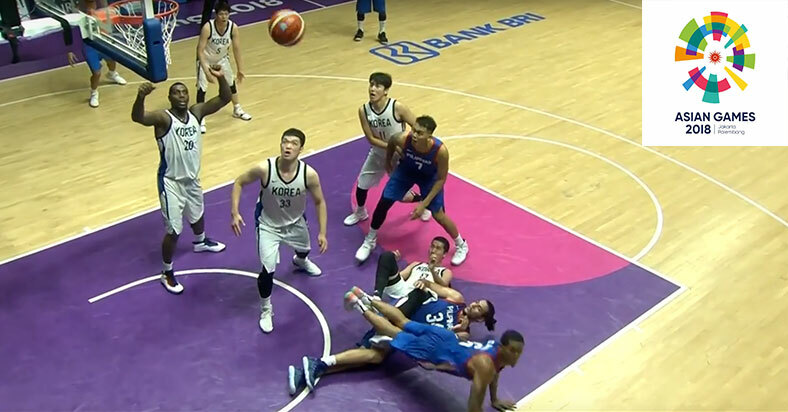 Filipinos now lacking defense measures allows the Koreans to retaliate with clean shots and even Ratliffe succeeds with a dunk. Ratliffe makes the final 2 point shot of the game ending it with 91-80 on the tally. South Korea wins. Philippines is now eliminated from the 2018 Asian Games in Jackarta, Indonesia and South Korea advances to the semi-finals. South Korea will be battling against the Iranian national team in Aug 30. 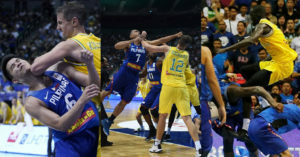 The Philippine team, under coach Yeng Guiao, was hastily assembled following the suspension of many Gilas players in a recent brawl with the Australian national team in FIBA. Guiao exclaims in an interview “I take the responsibility because we just did not prepare that long. We were not able to train that long and I’ll take that responsibility…”. He also admitted that they were not able to make proper counter measures against the Korean team’s defenses adding “Korea just played better”.